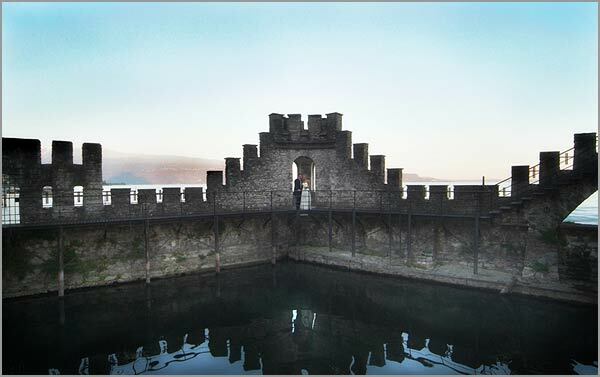 Lombardy side of Lake Garda can offer to visitors wonderful landscapes. Poets like Virigilio and Catullo sang about them. On the shores and mountains that surround the lake there are wonderful gardens, orangeries, vines and olive groves and pretty villages to discover. Gardone Riviera, Salò and Limone are little jewels. 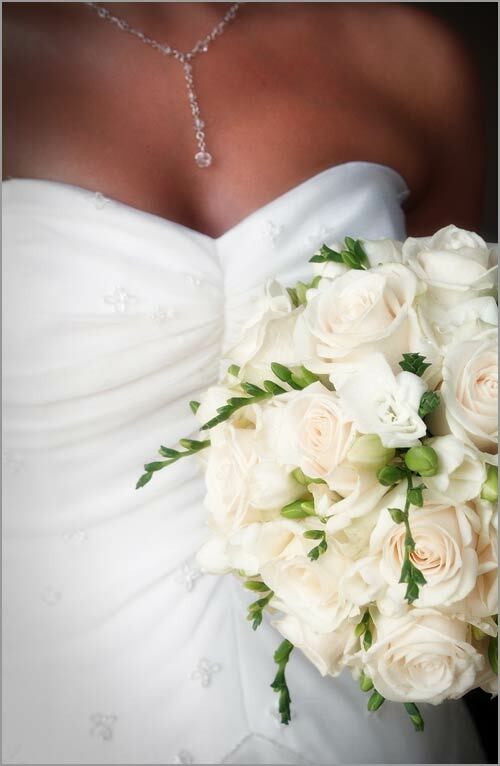 They are perfect destinations for a wedding if you are looking for a quaint Italian atmosphere, elegant and appealing. 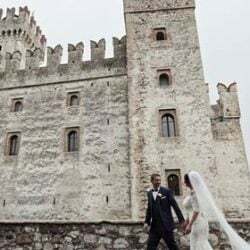 Today we are discovering Gardone Riviera together with Kate and Kevin and wonderful pictures taken by Alfonso Longobardi one of the best and most wanted Italian wedding photographer. 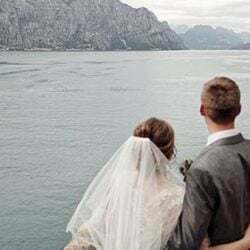 His weddings have been published in both Italian and UK magazines and he is a WPJA (Wedding Photo Journalist Association) competition prize winner. Kate and Kevin are a lovely English couple in love with Italy. 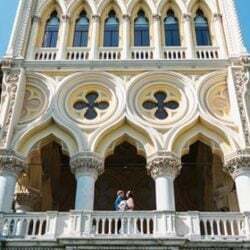 They toured it from North to South and when they reached Lake Garda they discovered Gardone Riviera and so they decided that it needed to be there! Gardone Riviera is located just 40 minutes drive from Verona and 1 hour drive from Venice. 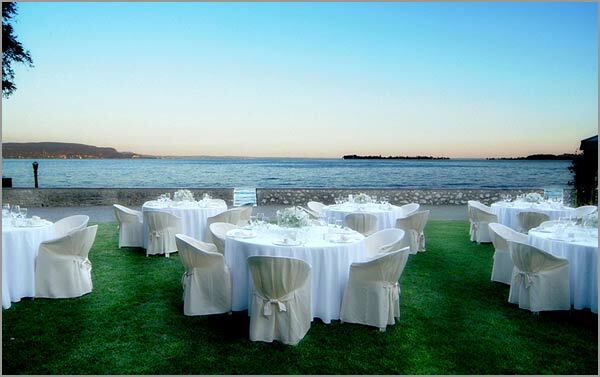 A perfect position for your Italian Wedding! Gardone Riviera is surrounded by amazing green hills with thousand of olives grooves and lots of cypresses reminding Tuscany landscapes. Gardone is an enchanting village with quaint narrow roads, a lovely lakeside walk, amazing historical buildings, elegant boutiques, bistros and restaurants. 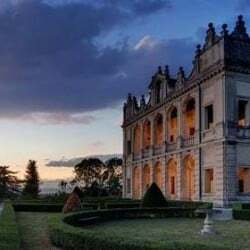 An outdoor theatre, a botanic garden and neo classical Villa Alba together with Vittoriale degli Italiani – home and museum of Gabriele D’Annunzio poets create a unique atmosphere in Gardone Riviera. 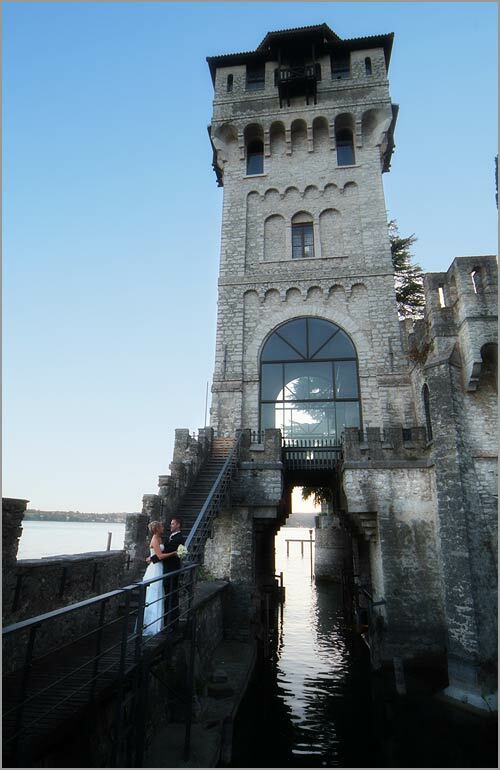 Kate and Kevin chose a civil ceremony in the town hall of Gardone Riviera. Have a look to Kate’s wonderful bouquet. it is round and compact and it is made with scented gardenias, Vendela roses and pretty freesias. A great touch of elegance! 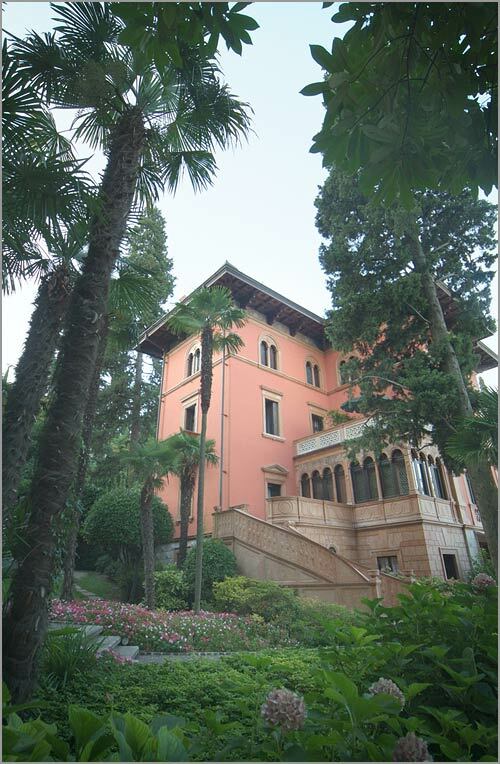 Town hall of Gardone Riviera is a lovely villa of 1700 built in liberty style in the heart of the quaint village. The villa has an amazing park with exotic and mediterranean vegetation. At the entrance you will find a great marble staircase and in the inside there are antiques and wonderful paintings. 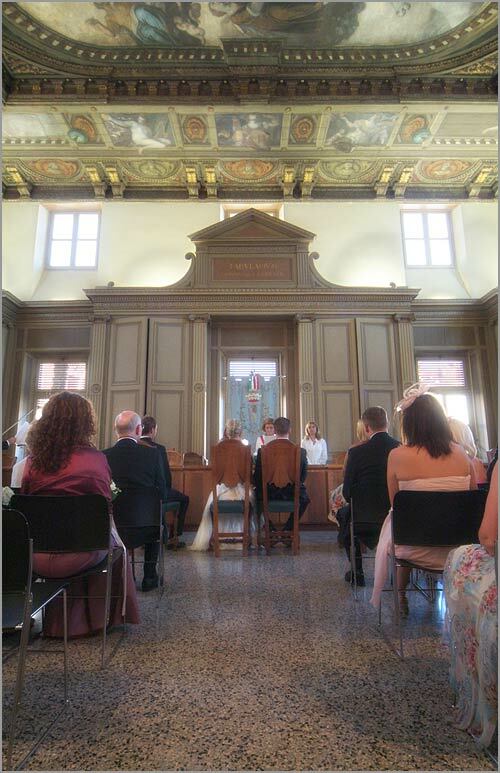 The room where civil ceremonies are held has a stunning frescoed ceiling. 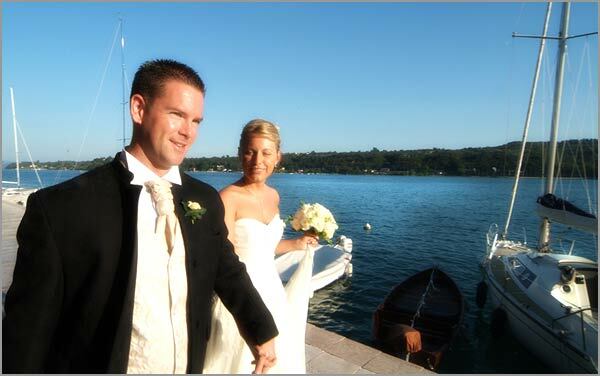 After the ceremony Kate and Kevin took a short walk on the lakeside in Gardone Riviera village. 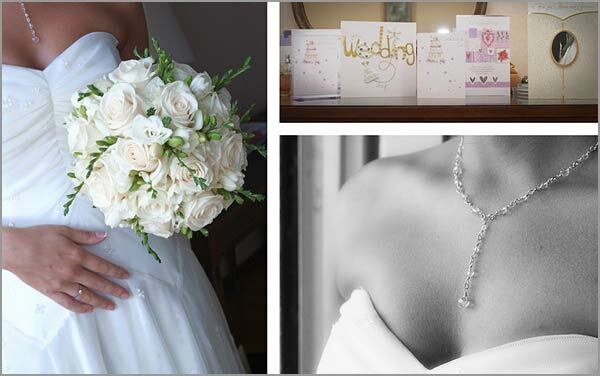 Alfonso Longobardi took the chance to take fantastic wedding shots! Have a look! 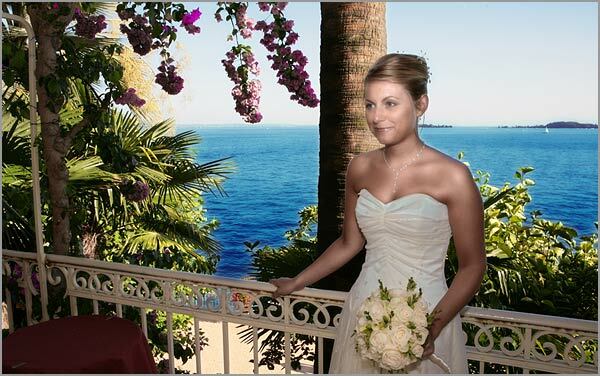 Kate and Kevin arranged their wedding reception in Gardone Riviera in an evocative villa of 1800. 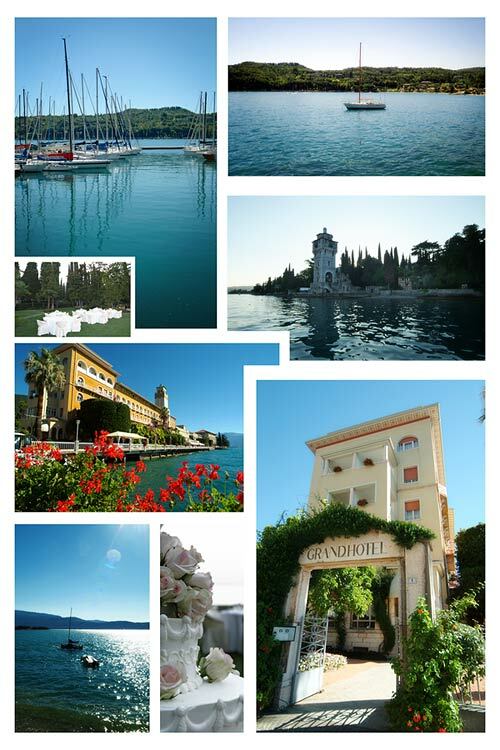 The villa has a wonderful neo classical facade facing Lake Garda waters. 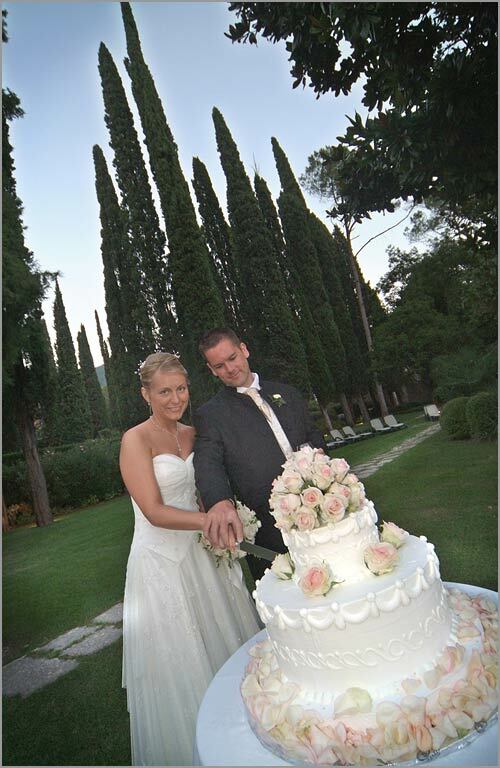 Park of the villa recalls they classical landscape of Lombardy side of Lake Garda with olives, cypresses… such a perfect frame for Kate and Kevin’s wedding cake! Villa gives the possibility to arrange and outdoor reception on a lovely lawn on the lake shores a dreamy setting don’t you think so? The villa is part of a big monumental and historical complex which includes Villa Alba – used for congress and exhibitions – and San Marco tower. San Marco Tower was built at the beginning of 1900 by the owner fo Villa Alba: Richard Langensiepen. He was a famous German business man. San Marco Tower was an observatory and it is just on the lake shores. In 1925 it was purchased by Italian poets Gabriele D’Annunzio. He transformed the German gothic style of the villa into a Venetian Military style. The tower became an enlargement of Vittoriale and the name changed from Ruhland Tower into San Marco Tower. Between 1943 and 1944 San Marco Tower was the place where Benito Mussolini and his lover the actress Claretta Petacci met secretly. 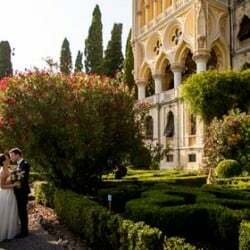 A famous love story for this special place that today is the unique scenery for all brides and grooms who choose Gardone Riviera for their wedding on Lake Garda. Just like Kate and Kevin did. 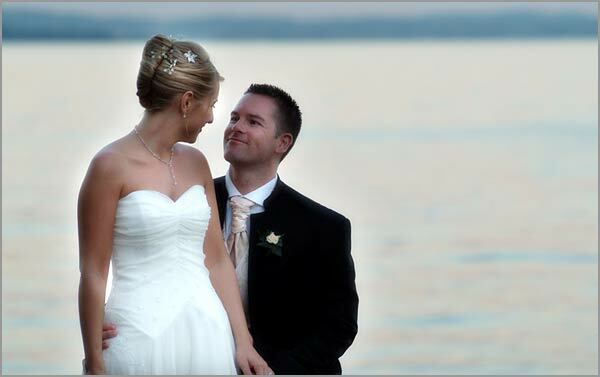 Our best wishes from all Italian Lakes Wedding Team! 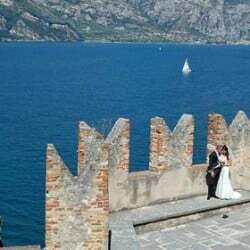 For further information on a wedding in Gardone Riviera – Lake Garda please CONTACT Italian Lakes Wedding Team.